I’m never going to use that style! I’ve subscribed to the Profantasy Annuals since the beginning and I must say that it has been a great investment. I’ve learned a lot from the included PDF’s that comes with the monthly style and most of the styles are really great. But then sometimes there is a month when you think “when will I ever use that style!”. But you should never say never, suddenly you might have use for a style you thought you’d never touch. This happened to me when it comes to the 2010 Annual May edition, Abstract maps. When I received it I first thought it was a real waste of space on my hard drive. When would I ever use that, but that was before I went to London with my son. When my son was eight I took him on a trip to London. They had just started to learn English in school and I thought that going to England would be a great way to motivate him to learn the language. Of course we could also have a great time visiting museums and interesting landmarks like Big Ben and the London eye. As it turned out he got really hooked on the Underground. We don’t have one where we live and for a child it is fascinating to go on a train far below the surface. We ended up doing a lot of travelling with the underground and we even bought a London underground game that we’ve played while coming home again. After returning to Sweden my son thought it was fun to play that he was travelling with the underground, pretending that different rooms in the house where stations. I suddenly remembered that I had a style for CC3 where you could make underground maps. 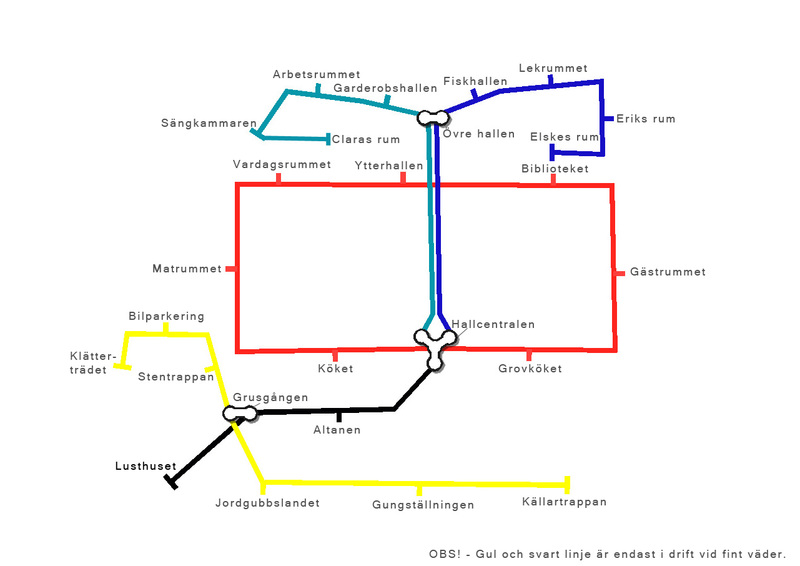 Quickly I started the program and made a map for him where all rooms where stations and different lines went to different parts of the house. I even added some lines that continued out in the garden. So you should never rule out a style, who knows in the end you might have a use for them all.